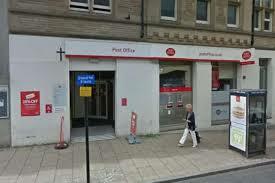 Concerned about the loss of Harrogate’s Crown Post Office? Don’t forget to have your say before December 19th. There will be a drop-in public forum December 3rd 3.30-7.00pm in the Majestic Hotel. For further details about this consultation, please see our ‘Alerts’ page. This entry was posted in Consultations and tagged post office, WH Smith on December 1, 2018 by admin.